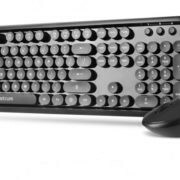 If someone is using a high-end PC, using a cheap Mouse and keyboard does not make the sense. Normally the people who use high-end PC are normally into gaming or designing. Any gamer or graphics designer always deserves the best when it comes to PC components. 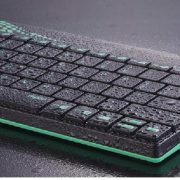 Especially when it comes to the mouse which is actually the most important input device for any kind of gaming or graphics designing, the quality should be at its peak. In any high pace gaming, a better mouse helps a lot, the sensitivity settings or also known as the DPI settings of the mouse let the user choose the best controlling settings for himself, which is normally not present in any cheap mouse. Any pro gamer also advice to use the best quality mouse in case if you are into any competitive gaming. 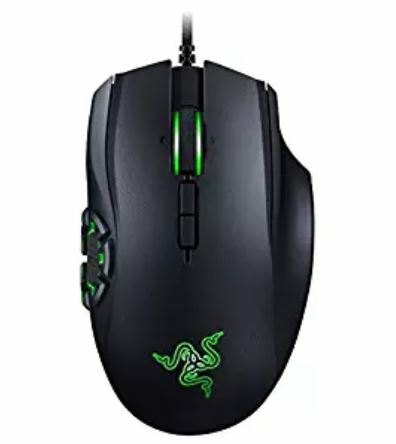 In high paced, third-person shooter, multiplayer games like Fortnite or PUBG the players must use a very good quality gaming mouse to excel his skills. Not only the FPS shooting like Counter-Strike or the Third Person shooting like Fortnite one may also experience the advantage in MOBA games like DOTA if accompanied with a great quality gaming mouse with multiple user-configured button facility. Apart from gaming the graphics designers also need an extremely sensitive mouse to do the delegate job of theirs, for which a gaming mouse with multiple DPI settings control is really helpful. Except the DPI control in high gaming mouse there used to be many more extra button functions which can be customized according to the user’s choice. If configured properly one can notice that the mouse single-handedly become the game changer in case of gaming and designing both. As there are many gaming mice available on the market now a day, one may get confused about which to buy. Though one can go for the equipment which is being used by their favorite pro gamers, on the other hand, one can search for the best products in the market, to try it out. To end the discussion here we submit our list of top 5 gaming mouse below. But, to remember along with a good gaming mouse a good quality gaming keyboard and a good pair of the headset is also needed, for which one can go and read the other articles of ours on Top 5 Gaming Headphone & Top 5 Mechanical Keyboard. Pros – The excellent sensor offers top of the line DPI, and easy to use gliding. Programmable buttons let one customize the mouse according to own preference using Corsair utility engine software. The customizable buttons also can be changed in-game controls separately. RGB lighting that can also be adjusted with Corsair utility engine. Competitive pricing gives the Sabre RGB an excellent price to performance ratio. Cons – The design may be a little wired and awkward to hold for some users. Our Opinion – While the Sabre RGB won’t be winning any beauty pageants because of how simple it looks as compared to some other mice we are going to mention in our list, it is certainly a good thing because the mouse is designed with simplicity in mind and it does a great job at that. At the given price point, one is getting a mouse that is able to have an impressive 10,000 DPI, a good design that will attract most gamers, and not to mention the RGB lighting. So, in simple words, gamers are paying less and getting more when it comes to the Corsair Sabre RGB. The weight of the mouse is very light (100g), which may bother some users while some users may find it more user-friendly. It also has 8 programmable buttons. 1000 Hz USB refresh rate gives it a lag-free responsiveness. In case of durability, this mouse is designed to give 20 million clicks which are pretty awesome. 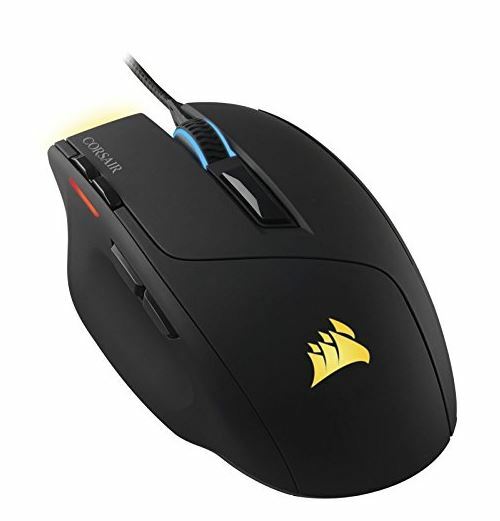 This mouse is actually a cutdown version of Corsair M65 Pro RGB, which is a little costlier and meant for the enthusiastic users only, if one is not ready to spend a little more money, then trying the M65 is also a good idea. Recommended For – Gamers, who love to play FPS and TPS games. Pros – Highly sensitive optical sensor delivering an impressive 16,000 DPI, which is simply mind-boggling. Fully customizable buttons which are as expected. Excellent Razer Synapse 2.0 software suite which gives the extra edge. Solid construction across the board and great ergonomics. The thumb grid buttons use a specialized type of mechanical switches. Razer Chroma lighting at its best. Cons – The design may seem like an odd choice for many users due to the side buttons. The mouse doesn’t come in ambidextrous design. 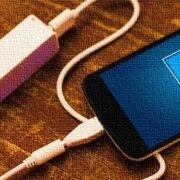 A battery is required which may be pointed as a drawback. 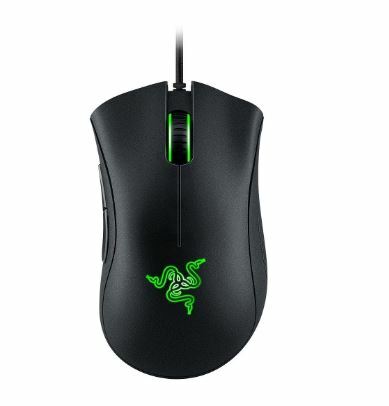 Our Opinion – One should keep in mind that while this mouse is designed specifically for MOBA gamers, there is no way it can be used in other games; however, this mouse is usable for games in which there are a lot of keyboard shortcuts, one can conveniently map them onto the mouse, and use them, thanks to amazing thumb grid system. This is perhaps one of the more revered gaming mice among the MOBA games because of the number of buttons this mouse offers. It has 14 configurable buttons in it, which is fairly uncommon in any other mouse. The excellent optical sensor capable of delivering a whopping 16,000 DPI makes it an absolute beast. The ergonomics are good, though the proper ergonomic depends on the user and his grip; so, discretion advised. The 200g weight also makes it a balanced choice of mouse. Recommended For – Gamers, who loved to MOBA games like DOTA. Pros – Tried, true and advised design my most of the pro gamers. Beautiful Chroma lighting and effects. Razer Synapse 2.0 is still one of the best software suites. Quality construction, great ergonomics. Customizable buttons, great durability. Cons – No innovation in terms of design, so no extra eye-catching on the table. Only 5 buttons make it look like a cheap and common mouse. Our Opinion – When Razer originally released the DeathAdder, the mouse took the gaming industry by a storm, it quickly became one of the best gaming mouse on the market, it was cheap, and it was everything a gamer wanted from a mouse. Considering how the RGB lighting has become an industry standard, Razer has gone ahead and invented the Chroma lighting system that can be controlled by their brilliant Razer Synapse 2.0. In case one is wondering what, his money gets him, basically, he gets an amazing optical sensor which is capable of delivering an output of 10,000 DPI, and yes, it can be controlled as per the liking, so even if one wants to go lower, it can be done easily. The Ergonomic Shape, Favored by Top Esports Athletes and the Ultra Accurate Optical Sensor Powered with Advanced Tracking Analytics makes it one of the best in the market. A 115g weight which is fairly good for the gamers as well as for the graphics designers. Only 5 buttons on the mouse make it look simple and also make it low productive is some aspects for some users. Recommended For – Gamers and graphics designers both. Very good for FPS games. Cons – The mouse is not built for left-handed users. The design may be a little awkward for some users. Our Opinion – The G502 Proteus Spectrum; to be fairly honest, it’s one of few mouse by Logitech that helped the company establish itself. The Proteus Spectrum is just an updated version of the bestselling Logitech Proteus Core, the only difference is the inclusion of Spectrum lighting; Logitech’s version of RGB lighting. Where the G900 Chaos Spectrum from the same manufacturers is built for the enthusiasts who like to fire on all fours, the Proteus Spectrum is aimed at users who don’t want to spend an awful lot of money but still get the best of both worlds. The DPI range from 200 to 12000 which makes it the best as it has the highest native DPI in the industry. The mouse has an excellent value for money, 11 buttons that can be programmed however you want them to be, a comfortable design that doesn’t shy away from being stylish, and excellent tracking and response. The 323g weight also makes it one of the heaviest while the extra weight is really helpful to make the mouse more precise and also to improve the performance. Recommended For – Any type of gamers and this is also one of the best choices for any Pro Graphics Designers. This mouse is a great choice for any FPS, TPS or MOBA gamers, and the Widest range of the DPI settings gives it an extra edge. Pros – Beautiful, solid design that is suited for gamers. A lot of customizability, and ease of use. RGB lighting that looks stunning across the board. One of the most comfortable mouse available in the market. Loaded with features both hardware and software wise. If talking about the look, this is obviously the best-looking mouse of the world. The Wired, as well as wireless mode, make it unique. Cons – No left-handed or ambidextrous option available. The price tag might be a shocker for some. Though useful, modules are a bit expensive. 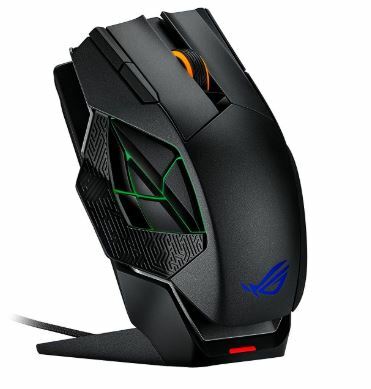 Our Opinion – The Spatha, of course, belongs to Asus’ top of the line Republic of Gamers line up, so you should know that you’d be getting a massive gaming mouse that would be filled with feature of all sorts, additional buttons, RGB effects that even sync up to your other ROG branded products such as motherboards, graphics cards, and even the keyboard by Asus. Look wise this mouse has been designed to stun people. Yes, it is an eye catcher on the table. The RGB lighting looks awesome, the side buttons aka the thumb buttons look totally different from any other gaming mouse, which is really awesome. The removable wire feature makes it an everyone’s cup of tea. According to the need or choice the mouse can be used in wired and wireless both mode. The 178g weight makes it a very balanced for any user’s hand. The ergonomics is at its best. 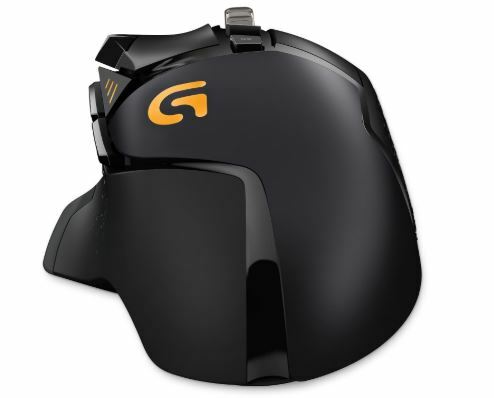 It has wireless/wired modes with 8200 DPI, 150 IPS, 30g acceleration and 2000Hz USB polling rate (in wired mode). 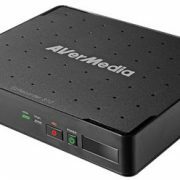 Programmable 12-button design with swappable Omron click switches for customizable click resistance makes it more productive. ROG Armoury interface to customize buttons, performance, and RGB, with built-in flash memory for profile storage, provided with the mouse. Durable, smooth magnesium alloy bottom plate glides across a variety of surfaces and easily attaches to the magnetic charging dock. Customizable 3-zone (ROG logo, scroll wheel, side buttons) RGB lighting effects make it awesome looking and unique. Buying a mouse pad from the same company (Asus Rog Sheath mousepad worth $35) is also advised to bring out the best from the mouse. Combining all the aspects of the mouse, simply this mouse can be labeled as the perfect mouse for gaming. Recommended For – Enthusiast and pro gamers only. The price is very high so checking out and choosing the other options is not also a bad idea. Though the definition of the best mouse can depend from user to user, these mouse on the list is every gamers’ cup of tea. One gamer can be thinking about the comfortability while another can give more importance to sensitivity, while any gamer can be worried about the style of the mouse, and some people also be worried about the performance issue to get an extra edge in the game to excel in gameplay. For each type of users, there is a mouse in this list above.